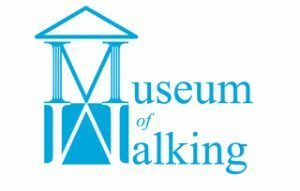 Listen to artists, specialists and walkers talking about how walking inspires their work and shapes our world. Simply subscribe to these free podcasts. A Walking and Art residency at the Banff Centre in the Canadian Rockies in October 2007, was the setting for a number of interviews with artists who incorporate walking in their practice. How to share their enthusiasms was the challenge, and Talking Walking, became a solution. Primarily, we publish podcasts. Our intention is to publish a new 15-30 minute podcast every 6 to 8 weeks. Issues or sources mentioned in these podcasts will be listed and where possible links will be created so you can follow up on the topics or issues discussed. Use this facility to e mail comments, (we will endeavour to incorporate them in forthcoming podcasts). Want to listen to our podcasts through iTunes? We too! iTunes accepted our first 26 episodes yet subsequently has chosen to not recognise our feed. If you can shed light on how we get re-listed please let us know. Babak Fakhamzadeh is kindly offering us advice on how to get this issue resolved. We marked our 5th anniversary in 2013 by asking thought leaders to make a 5 year walking forecast. Why not listen to these brief predictions to find out who came closest to the reality? Talking Walking brings you on-location interviews and several recorded using Internet telephony. Our aim is to publish a podcast every 6 – 8 weeks. We try to provide a variety of voices for you to listen to, including designers, artists, activists, writers and those of us who have a passion for just taking a walk.